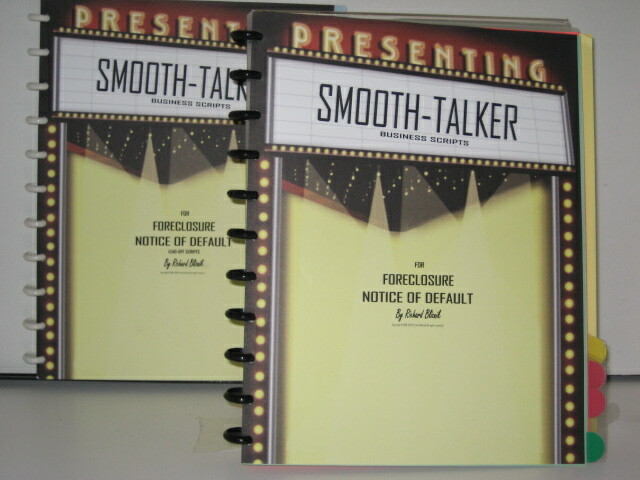 Home > About Smooth-talker > Features of the sales scripts. 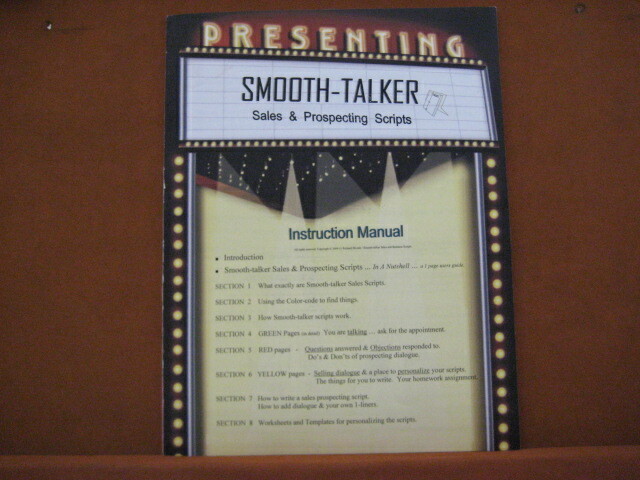 Features of Smooth-talker sales scripts. 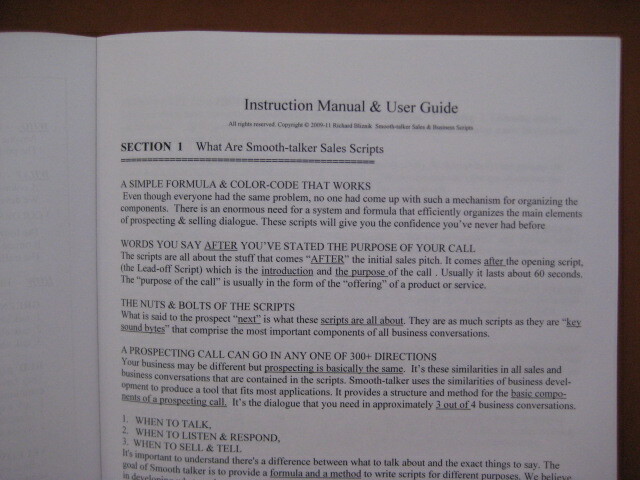 The sales script is simply placed in front of you when you make a prospecting call or a sales call. We needed a fool-proof methed of viewing the sales scripts for selling. We insisted that such a device would have to be a no-brainer to use. We wanted something that you put it in front of you and it's ready to use. Most importantly is how quickly can you find the dialogue when you need it . box. 60 pages of dialogue that you can access at a glance. binder that built to last. Anyone can afford a Smooth-talker Sales & Prospecting script. I decided that I would make it my mission to bring the cost down of sales scripts to an affordable level. My goal was to make sure that every sales professional could afford a script for sales. I wanted to provide high quality prospecting scripts at reasonable prices that anyone could afford. The scripts start at only $97.00. Production of the sales scripts is very labor intensive. Lazer printing of heavy card-stock is a slow and tedious process. Cutting-down the pages and assembling the script book takes about 50 minutes to 1 hour in total. 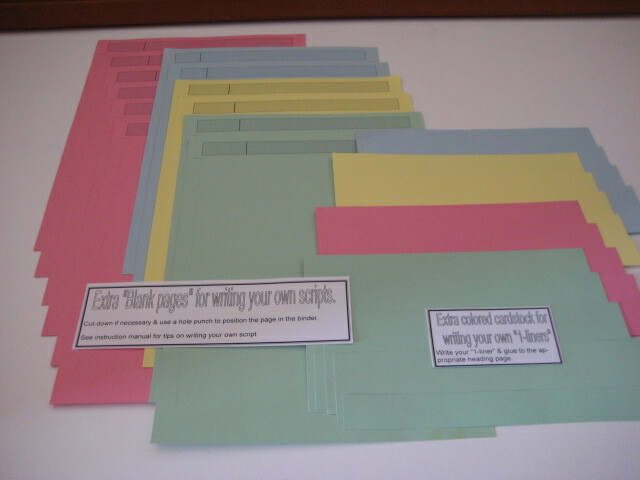 Added to that is the production of the Instruction booklet, the Script-writing kit, the extra pages etc. The shipping plus the office overhead must be accounted for. 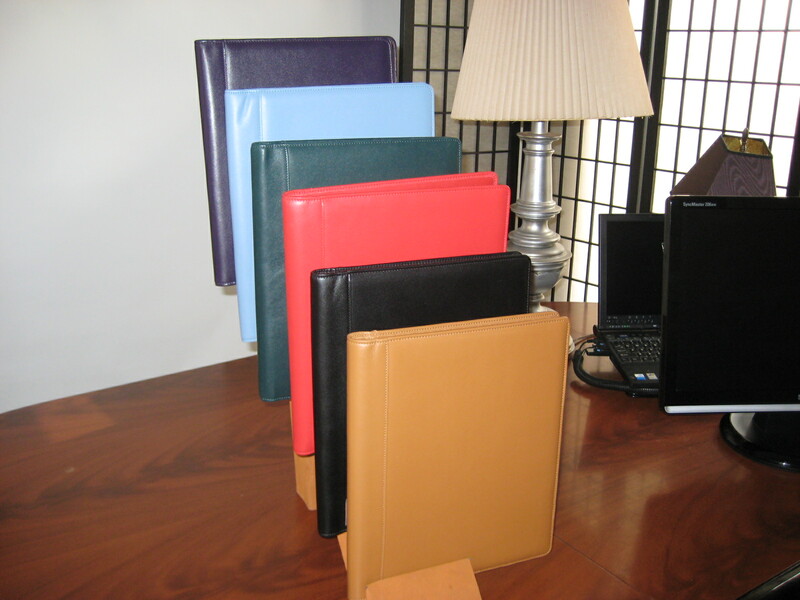 All scripts for sales come in with a high-quality Leatherette three-ring binder. It is sturdy enough to stand up to daily use. you want. Just flip to a section & choose 1-liner & read it to the prospect. to carry on a business conversation that communicates with the prospect. Includes a 24 page Instruction Manual. able to remember the words more easily because you chose them in the first place. Included is a "Script-writing Kit." The script-writing kit shows you in great detail how to customize your sales script. and hard-hitting words & phrases that communicate your message. Includes a supply of extra pages plus 48 pieces of various size card-stock. 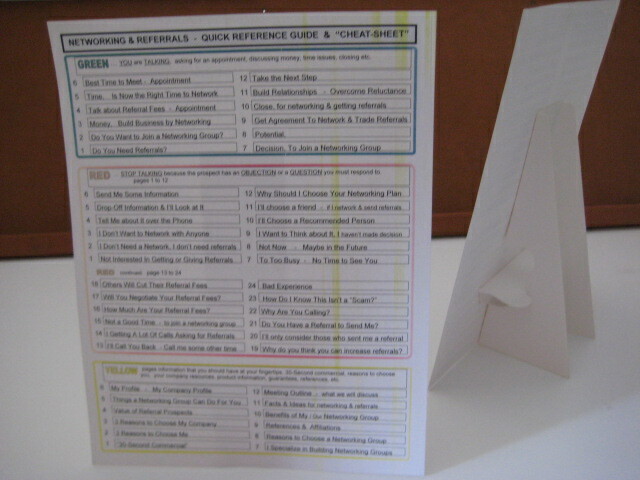 There are 10 extra pages printed with blank headings for writing your own sales script. own 1-liners. Simply glue it to the page that is the most appropriate of the prospecting scripts. Free samples are available. We offer sales scripts to give you taste of what our scripts are all about. 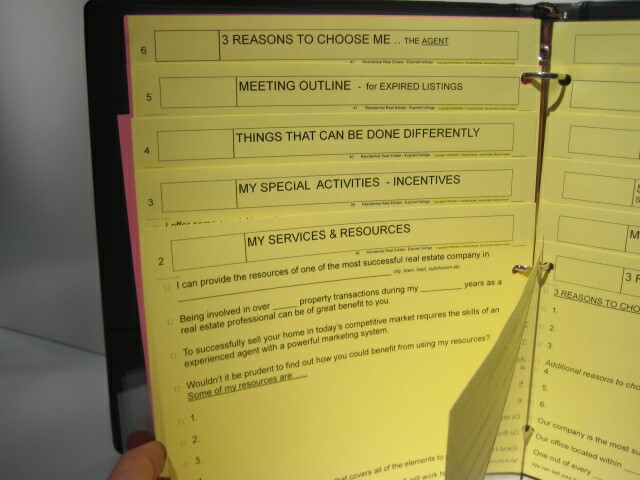 Sales scripts are available to entice salespeople from all types of business to use our prospecting scripts. E-mail us at: www.smoothtalker@roadrunner.com Tell us what kind of sales scripts you would like: real estate, financial services, insurance agents, mortgage & loan brokers, business products & services, and referrals & networking. 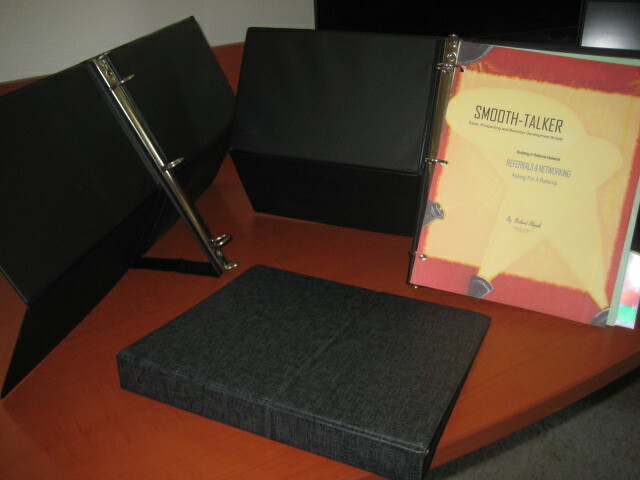 Upgrade to a "Stand-up" easel binder. Priced at $18.00. Make life easy on yourself when you purchase a stand-up easel binder. It is easier to view the pages especially if you don't have anything to lean it against. 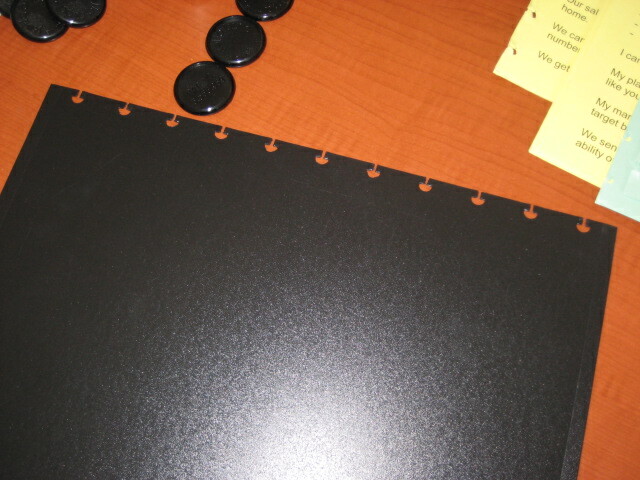 Upgrade to multi-ring binder. 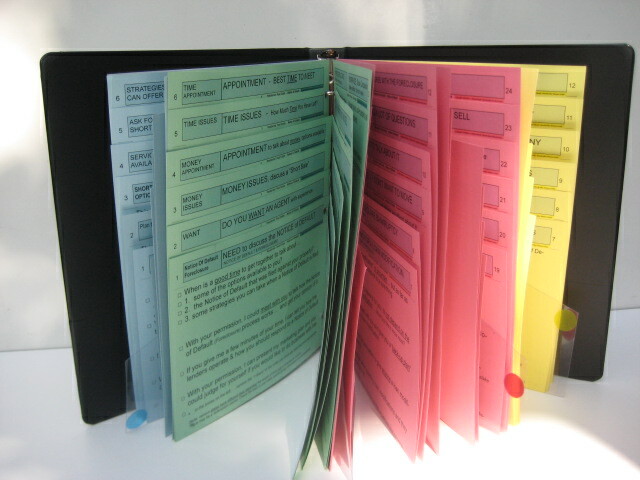 A custom multi-ring binder system is available to ugrade for all scripts. Just add $50.00 to your order. are held securely in place with 11 unique rings of the Levenger brand. See their website at www.levenger.com & look for Circa products. 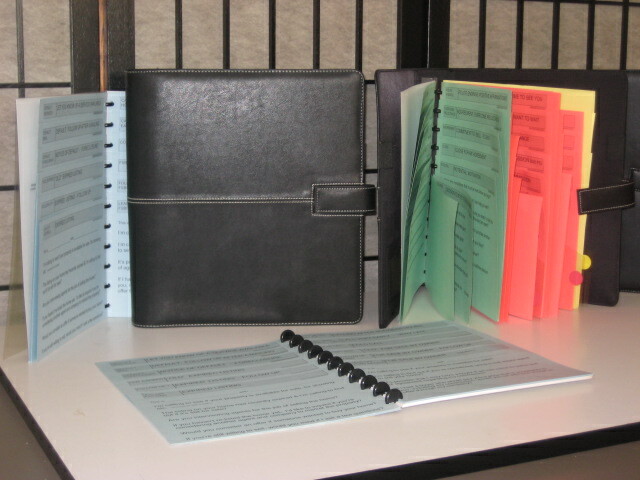 Multi-ring binders hold the pages securely. 11 rings are an improvement over the 3-ring binders. A special machine is designed to punch the holes. Unique "hole design" for easily adding pages to the binder. Genuine Leather Portfolios are absolutely beautiful and will last forever. Ultra high-quality made from the finest leather. For use with the the multi-ring binders only. Specify Tan, Black, or Red. Extra pages. $10.00. Pack of 12 pages. In Green, Red, and Yellow heavy card-stock. You'll need need them for writing your own additional prospecting scripts. 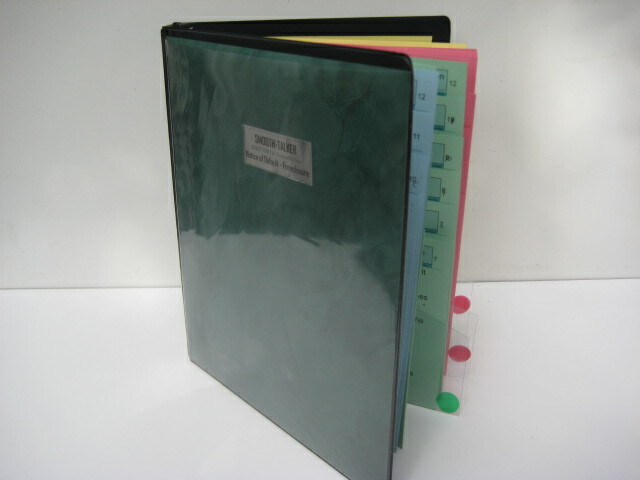 Please tell us if you have the 3-ring binder or the Multi-ring binder. 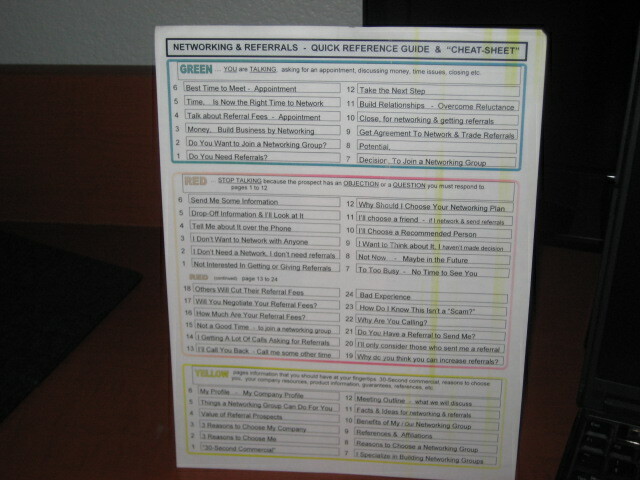 referance guide. It makes it easy to spot the heading you need. Designed to stand-up in front of you to see what is contained in the prospecting scripts. Special offer. For the New Real Estate Agent. Special price of only $97.00. Limited supplies. 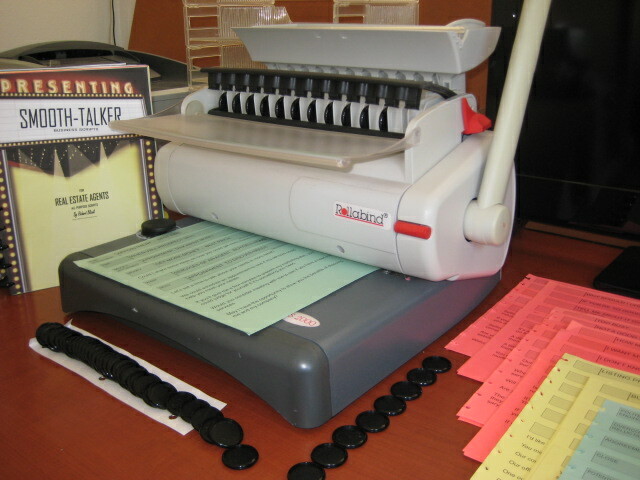 Includes two (2) multi-ring binder systems. 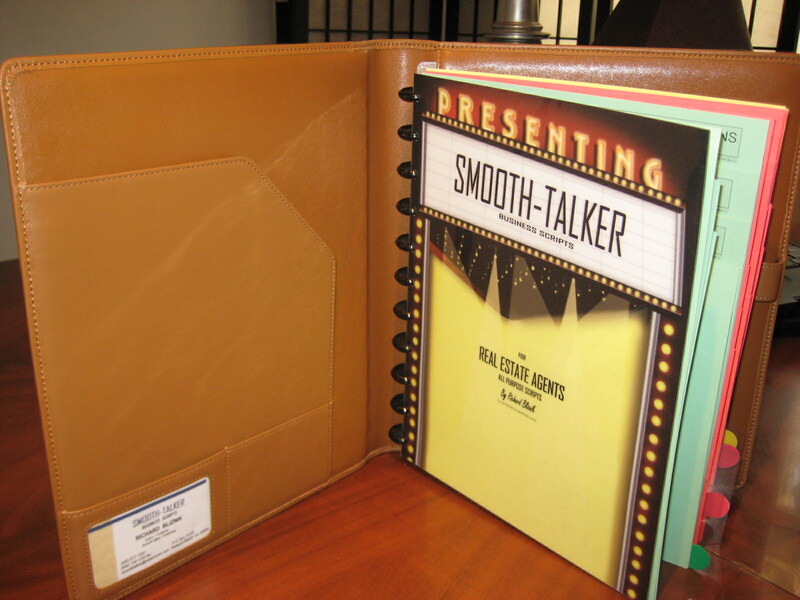 Includes a beautiful leatherette binder for the main script and one for the Lead-off & sales openers. Has 60 pages. Extra-large print is easier to read. 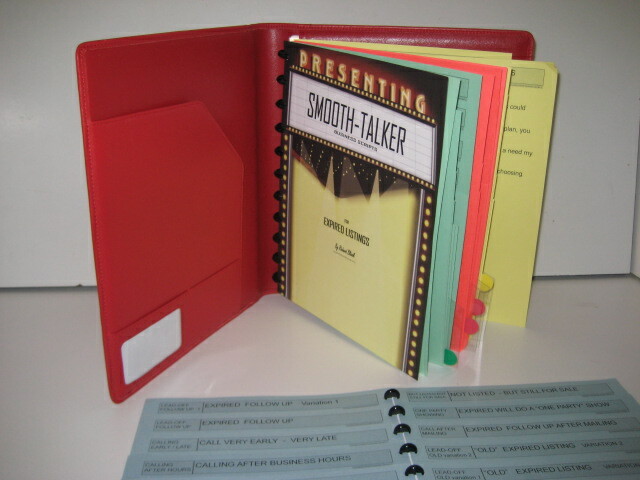 Smooth-talker scripts for sales are designed ergonomically to be at your fingertips. A script for prospecting is user-friendly if it can be read at a distance of approximately 24 inches and has large type size of 16-18 point font. A salesperson has too many things to keep track of. There is just too much information to try to juggle while thinking of something to say. Script consultants are nearly impossible to find. There are plenty of speakers, authors, and self proclaimed experts that will give you advice on what to say to a prospect except that a don't have anything written down, organized, and usable for the salesperson in the trenches. Even if you could find a sales script consultant to help, producing a prospecting script would require too much time and money. GREEN Printed on Green cardstock. 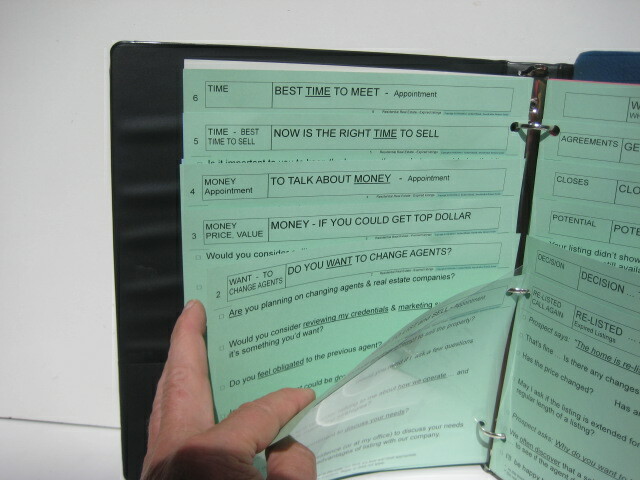 24 pages when you are doing the talking that were meant for salespeople to mainly ask questions, close for an appointment, talk about money, see if there is potential, ask for a decision, etc. 12 pages of Lead-off scripts that dialogue identifies you, gives a reason for the call, and states a brief selling message. First call plus variations. Follow-up call & variations. First call with a reasons & benefits. Call to present your product or service. Follow-up call to previous contact. Gatekeeper and Call screener. Renew interest of "old" prospect. Call after a mailing. Calling early, before hours. Calling late or after business hours. 12 pages of dialogue to ask questions, get an appointment, talk about money, see if there is potential, ask for a decision, close for an appointment, etc. You are asking the following questions. Discussing the prospects need for the product & service. Asking the prospect if they want the product & service. Reqesting an appointment to talk about money. Finding out the time for buying the product & services. Determining the potential to do business. Asking the prospect if they have made a decision. Close for the sale and/or Close for an appointment. Build a relationship and take the next step. 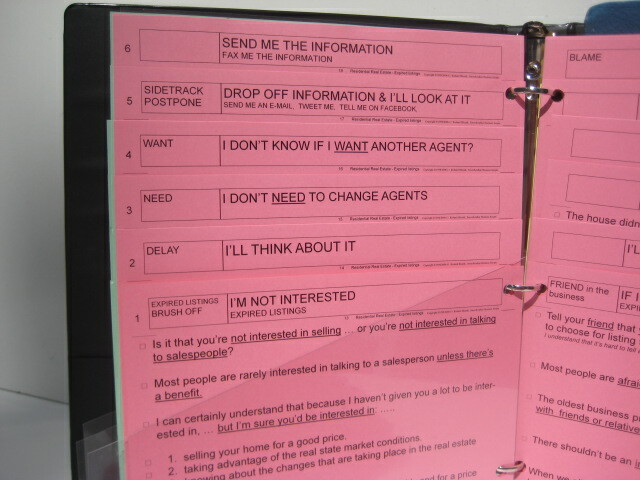 RED 24 pages printed on Red cardstock indicate to the salespeople to stop talking and let the prospect ask a question, state an objection, and voice their opinion. Stop Talking & Listen! Then respond with the words that will answer an objection. The prospect has a Question that must be answered or an Objection that must be responded to. The prospect will try to deflect & defer your prosecting call with a real or imagined objections. Prospects try to prevent the call from going any farther once they find out that it's a sales call. The prospect says they're not interested. They tell you to send or e-mail them the information. They want to cut your prices, commissions, and fees. Prospects claim that they have have a salesperson. They say they have a friend or neighbor. Often they want to wait until the economy gets better. Sidestep. It might be best to sidestep an objection rather then handle it head on. Neutralizer. Takes the sting out of a thorny objection. Avoids controversy. Explanation. You may explain the objection in the terms that a prospect will understand. Aggreement and excuses. Blames others and makes your competition look bad. Mind-changers. Seeks to change the prospects mind through reasoning and facts. Partial answer. Uses the words: "In other words" and restates the objection in your own words. Getting them on your side. Keeps the conversation positive. It is the typical sales information and you should have at your fingertips. Selling statements with blank lines for personalizing and additions. 12 pages printed on Yellow cardstock. Selling dialogue. You are using the traditional words that salespeople use to convince & pursuade a prospect. "30-Second commercial" also known as an elevator pitch, written down and ready to say. 3 reasons to choose you as their representative. The salesperson's credentials & experience profile. Resources for getting the job done. References the prospect can call. Guarantee policy of the company. Reasons to choose the company. Benefits of the product and service. A meeting outline. What you'll talk about. Sales scripts are written the way people talk. A person can be brilliant and highly talented, but if they can’t express themselves they'll never reach their potential. Planned is different than canned. Canned answers or preplanned answers are all the same. A sales script by any other name is still a sales script. No matter what you call it, prepared dialogue is planning for a probable event. When you use a sales cript you will get more appointments.